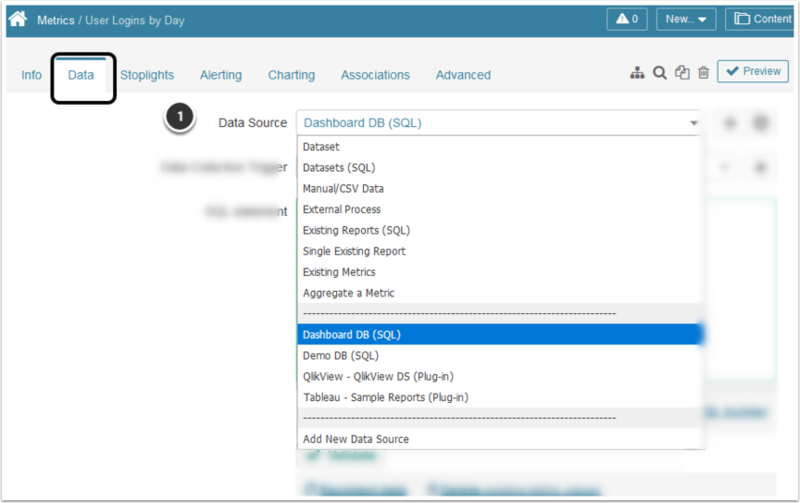 Prior to Release 5.2.1, Power Users could use Data Sources to which they had at least Use Access Privilege and create content using those Data Sources. In 5.2.1, expanded Data Source Security was applied to PU's. 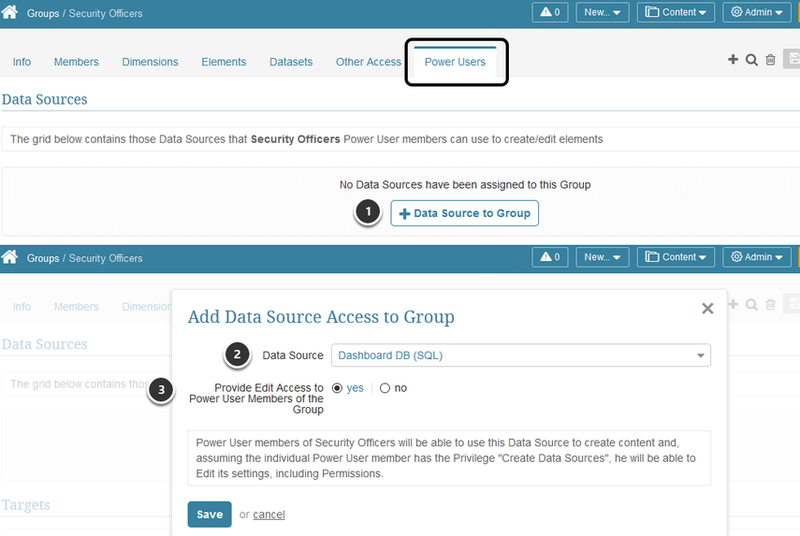 With the new "Create Data Sources" Privilege, a PU with Edit Access to a Data Source can assign Data Source access to Groups and other PU's in his related Groups. 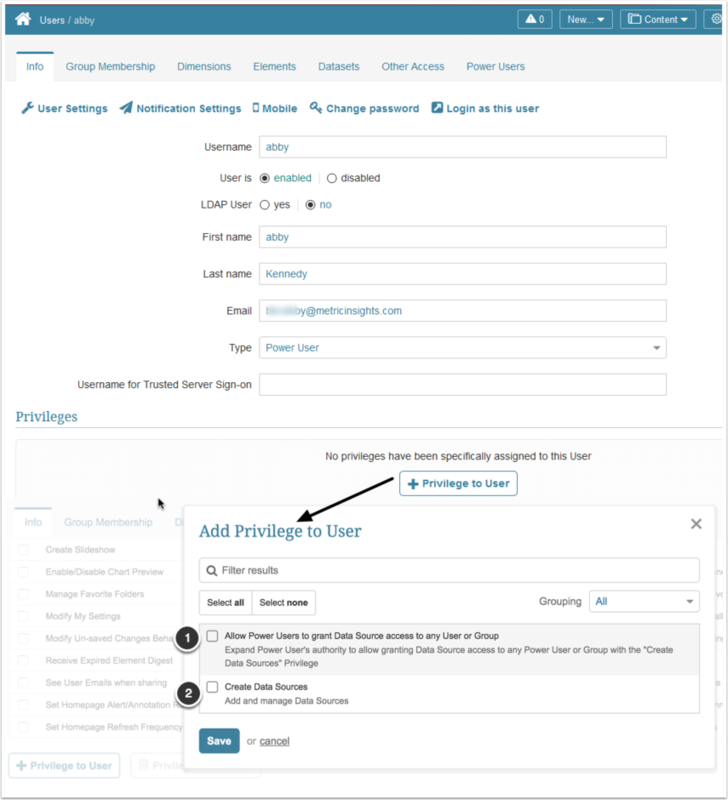 An Expanded Security Privilege allows the PU to assign access to any Group or PU. 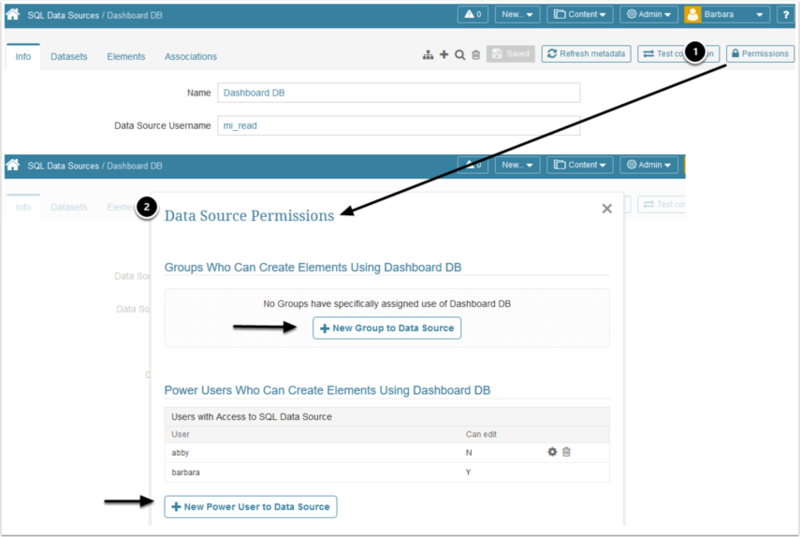 Permissions are granted via the Permission button on Group Editor, Data Source Editor, or on the User Editor. There are two Data Source Privileges that can only be assigned to Power Users or inherited from the Group(s) to which a Power User belongs. in order to access the Metric and Report Editors, PU must have edit access to the element, its Category (new in 5.3 version) and Use Access to its Data Source.